Gilda A. Barabino is the Daniel and Frances Berg Professor and Dean of The Grove School of Engineering at The City College of New York (CCNY). She holds appointments the in the Departments of Biomedical Engineering and Chemical Engineering and the CUNY School of Medicine. Prior to joining CCNY, she served as Associate Chair for Graduate Studies and Professor in the Wallace H. Coulter Department of Biomedical Engineering at Georgia Tech and Emory. At Georgia Tech she also served as the inaugural Vice Provost for Academic Diversity. 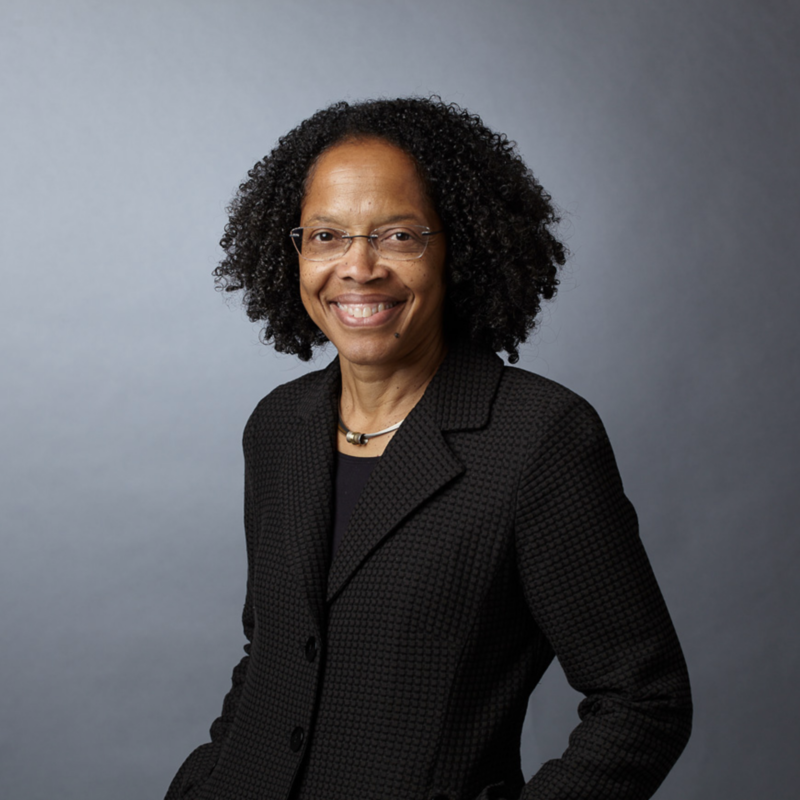 Prior to her appointments at Georgia Tech and Emory, she rose to the rank of Full Professor of Chemical Engineering and served as Vice Provost for Undergraduate Education at Northeastern University. She is a noted investigator in the areas of sickle cell disease, cellular and tissue engineering, and race/ethnicity and gender in science and engineering. She is an elected member of the National Academy of Engineering (NAE) and an elected fellow of the American Association for the Advancement of Science (AAAS), the American Institute of Chemical Engineers (AIChE), the American Institute for Medical and Biological Engineering (AIMBE) and the Biomedical Engineering Society (BMES). She is Past-President of BMES and Past-President of AIMBE. Her many honors include an honorary degree from Xavier University of Louisiana, the Presidential Award for Excellence in Science, Mathematics and Engineering Mentoring and the Pierre Galetti Award, AIMBE’s highest honor. Dr. Barabino is a trustee of Xavier University of Louisiana and a member of the National Science Foundation’s (NSF) Advisory Committee for Engineering, the congressionally mandated Committee on Equal Opportunities in Science and Engineering and the National Academies Committee on Women in Science, Engineering, and Medicine. She has served on the National Institutes of Health’s (NIH) National Advisory Dental and Craniofacial Research Council and the National Academies Committee on the Impact of Sexual Harassment in Academia. Dr. Barabino consults nationally and internationally on STEM education and research, diversity in higher education, policy, workforce development and faculty development. She is the founder and Executive Director of the National Institute for Faculty Equity. Dr. Barabino received her B.S. degree in Chemistry from Xavier University of Louisiana and her Ph.D. in Chemical Engineering from Rice University. Barabino Laboratory on Vascular and Orthopedic Tissue Engineering Research is primarily focused on cellular and tissue responses to fluid mechanical forces in the context of vascular disease and orthopedic tissue engineering. We concentrate on the characterization and quantification of mechanical and biochemical cues that influence tissue growth and disease progression. Our interdisciplinary work incorporates biology, materials science and engineering toward novel therapeutic strategies to improve the health of individuals suffering with sickle cell disease and those suffering with diseases associated with damaged cartilage and bone. To that end, we employ innovative engineering technologies to create models that recapitulate the environment within the body in order to better understand the pathophysiology of disease and the most appropriate strategies for treatment. We also employ complementary animal models to bridge translation of our findings to human clinical practice. SCD is a genetic disorder affecting 70,000 Americans and millions globally that induces chronic inflammation and vascular dysfunction and causes multiple organ damage as a result. The pathophysiology of SCD is quite complex and involves altered interactions between blood cells and endothelial cells lining the vessel walls, altered mechanical properties of blood, blood cells and blood vessels and altered tissue properties in affected organs. We apply innovative engineering approaches and technologies to better understand conditions that contribute to vaso-occlusion, a hallmark of the disease, and the relationship between inflammation, vascular remodeling and vascular biomechanical abnormalities. Results from these studies will enable the development of new therapies and provide clinicians with therapeutic opportunities for improved management of individuals with SCD. Articular cartilage injury is a major cause of decreased mobility and pain and can lead to osteoarthritis, a debilitating disease characterized by progressive erosion of cartilage tissues. Once injured or damaged due to disease, cartilage has limited ability for regeneration and self-repair due to its avascular nature. Tissue engineering approaches combining cells, bioactive molecules and biodegradable scaffolds in defined environments that support the regeneration of functional cartilage tissues hold promise. Bioreactors are used to provide defined environments and we have developed and employed novel bioreactor systems that impart fluid flow-induced shear forces to better understand how environmental factors regulate tissue growth toward the development of optimally designed and clinically relevant engineered tissues.